Recently, Egypt has been the center of attention due to its social instability leading to unrest. Activists in Egypt call for an uprising in their own country, to protest against poverty, unemployment, government corruption and the rule of president Hosni Mubarak, who has been in power for three decades. Presently, the Middle East has been riveted by the success of the grass-roots revolution that ended Egyptian President Hosni Mubarak’s 30-year reign. The collapse in Egypt took just 18 days of bold protest, inspired by the overthrow of Tunisia’s long-standing strongman just weeks before. For Arabs used to a heavy hand and little hope, Egypt’s revolution has redefined the possible, before their very eyes. We wish the nation well as the new generation emerges, to call for a government that represented their hopes and not their fears. Well, on the lighter side of things, every nation and their people have their own distinct culture and identity. The also have their own cuisine to be proud of. Today’s guest post is about the wonderful culinary delights of irresistible Egypt. Egyptian food, like most aspects of the country’s culture, benefits from having myriad influences from its neighbours in both modern and ancient times. The resulting melting pot means that Egyptian food is bound to offer something that caters for all tastes. 2. Bread plays an absolutely vital role in Egyptian cooking, more so than most other culinary styles that feature it as a staple. To Egyptians, bread is not just an accompaniment, but a fundamental aspect of mealtimes. In Egypt, all inclusive edible utensils in the forms of various strongly flavoured flatbreads are used to scoop up sauce, dip, and eat rice, vegetables and meat with equal versatility. Alternatively, when cut open, the bread can be stuffed with a meal’s ingredients to serve as handy sandwiches for later on. 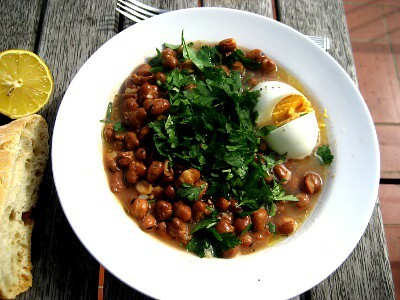 Along with bread, fava beans form an important staple of the Egyptian diet. Indeed, in some working class families, these two ingredients will constitute a whole meal, providing enough protein and carbohydrates. The beans have an inherently strong, rich flavour, often brought out in thick stews and soups. Made up of ground chick peas or fava beans and wrapped in flatbread and fried, Falafel are often drizzled with hot sauces and tahini. They are perfect as either a mouth-watering snack or as part of a multiple-course meal known as a meze (similar to the Greek practice). 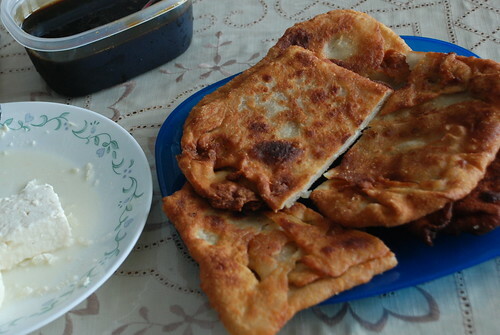 A breakfast food with its origins in Ethiopia, Fatira is like a large fried pancake that should be eaten with hearty servings of cheese, honey and/or molasses. 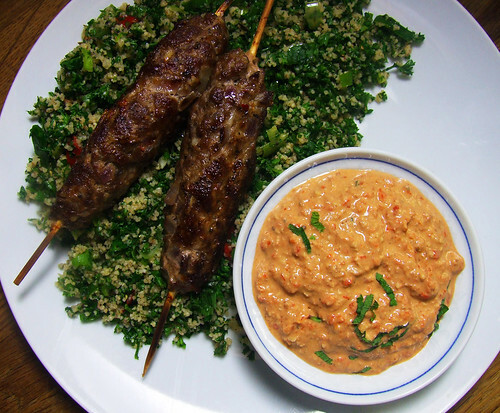 Kofta very simply refers to the ground or minced meat and is a catch-all phrase for Egyptian (and Middle Eastern) meatloaf, meat balls or meat skewered onto sticks as shown above. While Lamb Koftas are perhaps the best known internationally, Koftas can be made up of any meat. Indeed, the varieties of Kofta with the different meats, cooking styles and accompaniments involved number into the hundreds. You may not get around to trying every style in your lifetime, but sampling as many as possible is a rewarding experience! Onto the sweets menu! Fiteer is the Egyptian take on sweet pancakes. An absolute must for a sugary treat to start a particularly tough or exciting day. This sweet is popular throughout the Arabic world as well as Northern Africa and is made by taking very fine, sweet pastry into threads and adding thick, sugary syrup while cooking. Due to the versatility of the pastry, it is very popular as it can be stylishly moulded to form many symbolic or artistic shapes, adding to the fun of the presentation. A sweet and creamy milk pudding that can be eaten with equal delight in summer or winter months, Mahalabiya is especially loved by children. 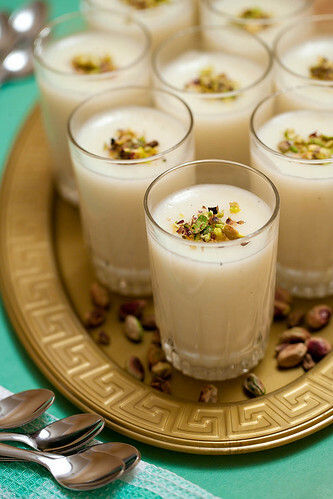 Milk, sugar, pounded rice, almonds and pistachios, with any other additional flourishes, make the perfect sweet treat for any time of year. Next articleKarma Chameleon.. Karma Kandara! 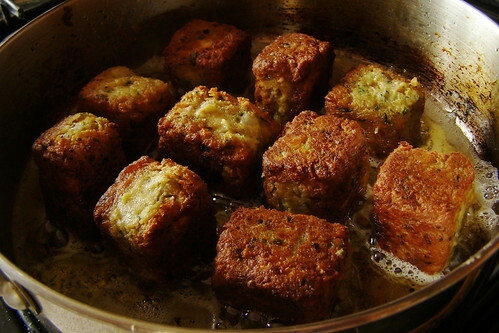 I love love love falafels, breads and koftas or what they sometimes refer to as kebabs! Oh so yum! Someday (soon) I hope to visit Egypt and enjoy the sights and taste before it all goes away in the name of modernization. Brought back some wonderful eating memories of Egypt. I grew an addictive appetite for ful and couldn’t help eating it everyday I was there. 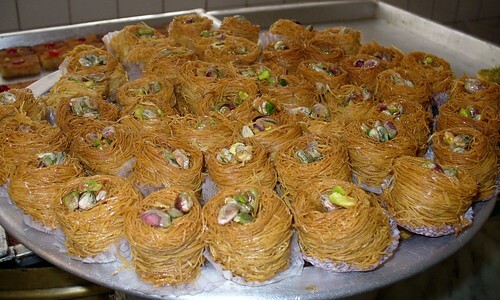 Konafa dessert as well as basbusa were absolutely incredible! Thanks for these great Egyptian food pictures! 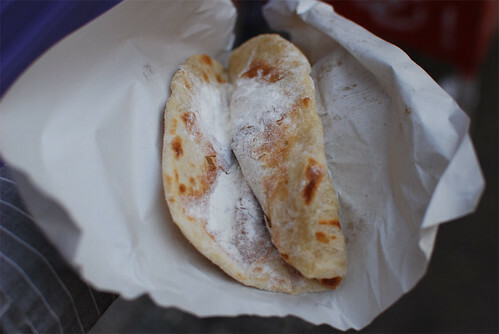 Kaftas are perfect with the flatbread! I can never get enough of them! So is Falafel.. Yum! Such savoury treats – I wish I can try the original versions in Egypt! 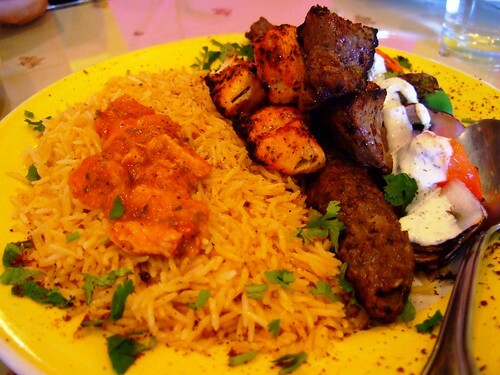 Well, I do have to say Middle east food is delicious. It’s also a lot more filling than Asian. More solid in meant, and bread. And yes the bread in really, really, really, really, good. Milk puddings are seriously refreshing too. Now I am seriously hankering for some of this. I don’t know if they have Egyptian food around my area, but I want to try them now afetr reading your post! I don’t think I’ve ever tried Egyptian food. I did watch a documentary once on Egyptian food….the desserts looked very tempting! I love flatbreads and Egyptian baking is fantastic. Nice warm hearted post in troubling times. I’m so jealous of @Giuliaccia right now!! 🙂 She must have all those yummy things.